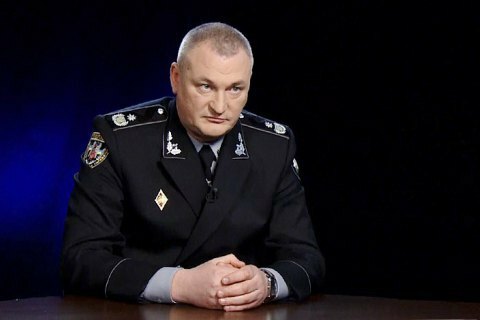 The newly appointed head of the National Police Serhiy Knyazev in his recent interview with Sonya Koshkina on the Left Bank talk show outlined top priorities he was going to address on this post. "[Firstly] - it is safer streets for the citizens. Ukrainians should feel safe on the streets and in their homes. People should not be worrying that criminals may come to disturb their peace or commit crime against them or their property," he said. The police are in for long tedious work that cannot be done in one day, he said. "This work requires coordinated efforts of the entire law enforcement system: police, prosecutors, courts, the prison system and lawyers, who also play a major role in this issue," said Knyazev. The new police chief said he was a staunch supporter of deep reforms in the country. "Secondly, the reform should not stop. Many lawyers say that the reforms in the police, good or bad, are well ahead of the reforms in other law enforcement agencies... The rest of the law enforcement system is falling behind, " he added. Knyazev says the war seriously complicates the work of police. "And nevertheless, the level of the street and violent crime in the eastern regions - Donetsk and Luhansk has dropped thanks to a large number of troops and the National Guard units in the area. Special administrative measures like the checkpoints on the roads and the presence of patrols on the streets help keeping street crime in check, the chief policeman says. "Meanwhile, the farther inland we go, the less police we encounter on the streets." The new young police do their best to fight crime on the roads (with a variety of success, for objective or subjective reasons) but the crime hides in small towns and valleys, the head of the National Police says.